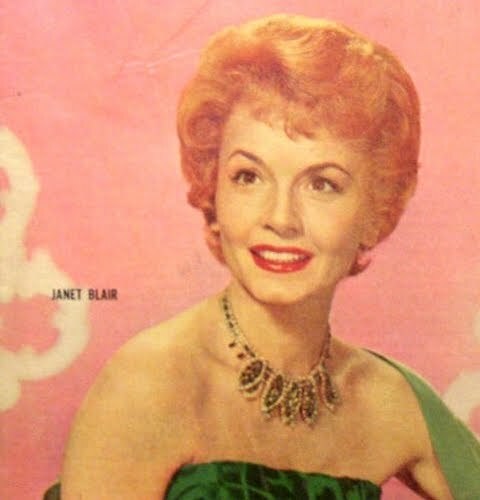 Janet Blair (1921 – 2007) was an American film and television actress and occasionally a singer. 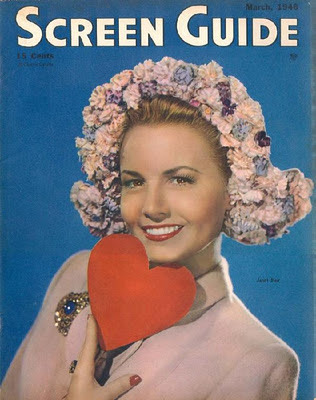 Born as Martha Jane Lafferty (she took her acting surname from Blair County, Pennsylvania) in Altoona, Pennsylvania, she began her acting career on film in 1942, being placed under contract to Columbia Pictures. During World War II, she made a string of successful pictures, although she is today best remembered for playing Rosalind Russell's sister in My Sister Eileen (1942) and Rita Hayworth's best friend in Tonight and Every Night (1945). In the late 1940s, she was dropped by Columbia and did not return to pictures for several years. Instead, she took the lead role of Nellie Forbush in a production of the stage musical South Pacific, making more than 1,200 performances in three years. 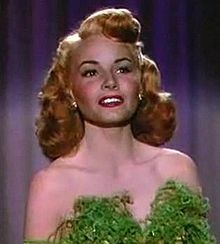 She appeared on television on various variety shows and was also a summer replacement for Dinah Shore. 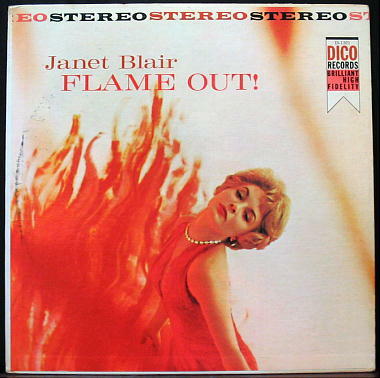 She recorded an album entitled Flame Out for the Dico label. 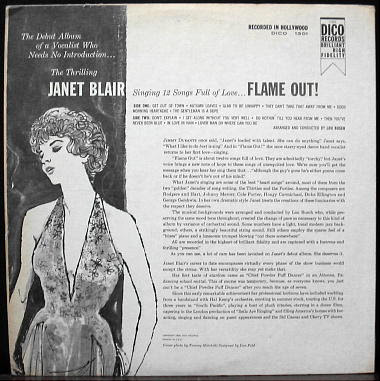 It was a collection of late night ballads like "Don't Explain" and "Then You've Never Been Blue". 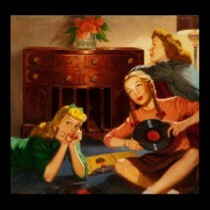 Here is a famous dynamic song from a great TV show! Enjoy!